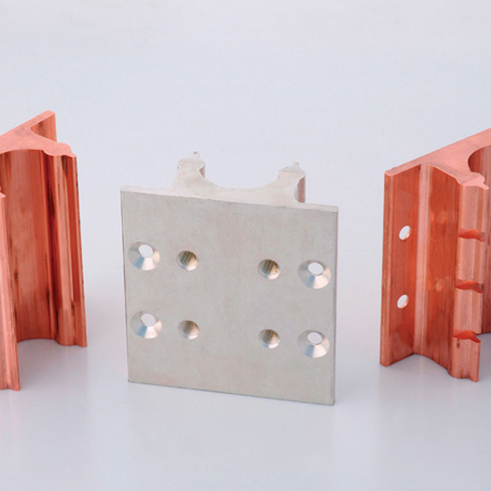 Metelec have invested heavily over recent years and now boasts the largest capacity for fabricated copper Busbar components in the UK for the electrical and power industries. 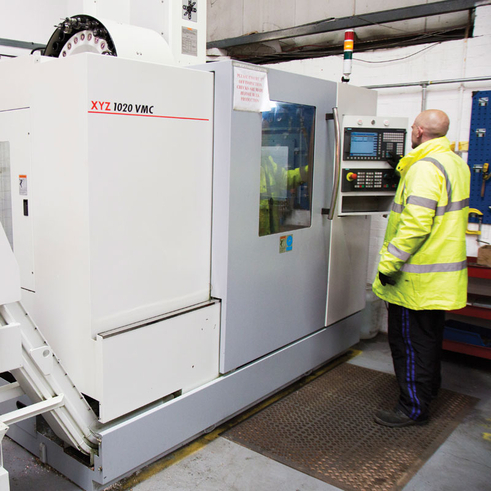 Utilising the latest CNC Hole Cut technology and Industry specific forming machineries. This in conjunction with the vast stock range in both Imperial and metric sizes allows us to offer exceptional quality components manufactured / fabricated to your specification. This service is available for 1 off prototypes to bulk production that can be supplied on a Kanban system if required. Inserts We have a range of self clinch inserts. We regularly get called upon to supply components with either Clinch Nuts or Clinch Studs BZP. Kitting and Insulation application is also available. 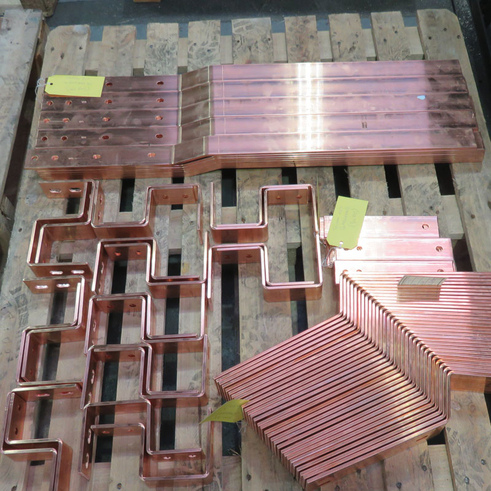 This investment in the UK operation at both the sites in Walsall and Leighton Buzzard allows us to offer a fast and efficient service manufacturing all types copper components, supplying large OEM’s to Individual companies across countless market sectors in both plain / electro tinned and silver plated Copper. 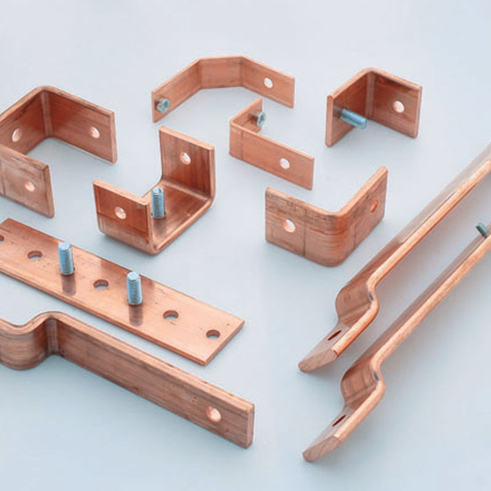 The above facilities along with the vast range of machinery at our parent company’s factory in France even the most complicated of component can be addressed, making Metelec the natural choice for any copper busbar components. 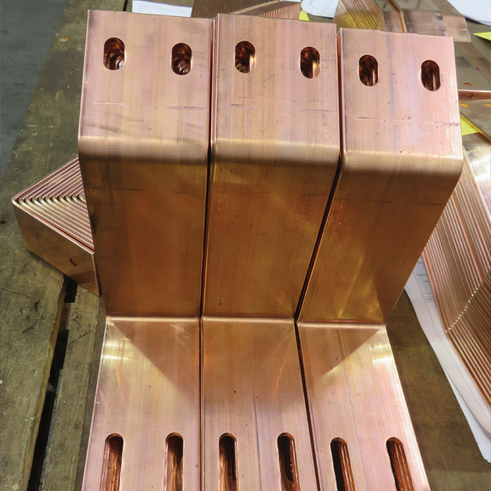 Metelec has the largest selection of extruded Copper busbar in the UK, this is complimented by the most upto date technology available to produce the most intricate extrusion. The stock range we carry in the UK is immense and if we are not able to offer exactly as you require then rest assured an alternative will be available from stock. 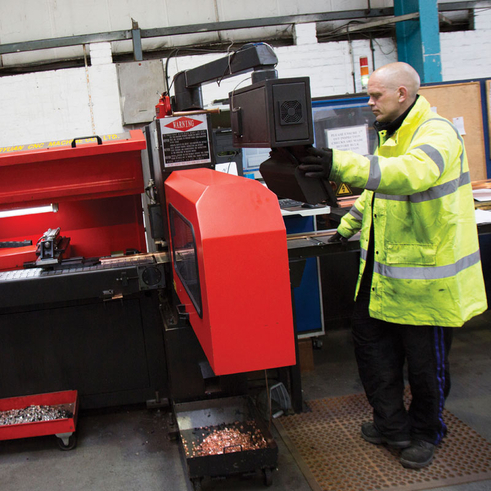 In order to offer greater flexibility to our customers we have a full range of cutting facilities, we have no minimum order size and offer a next day service. 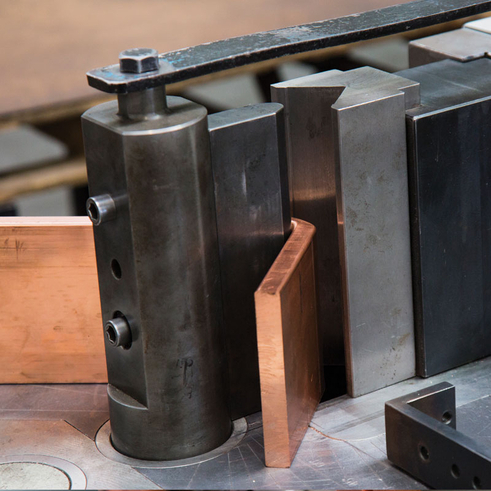 Metelec offer a dedicated cutting service for customers. There’s no minimum order charge, we cater for single and multiple cuts, and our equipment can process within a 1mm-100mm thickness range. If you would like to find out more about our first-class cutting service, please contact our friendly customer service team. 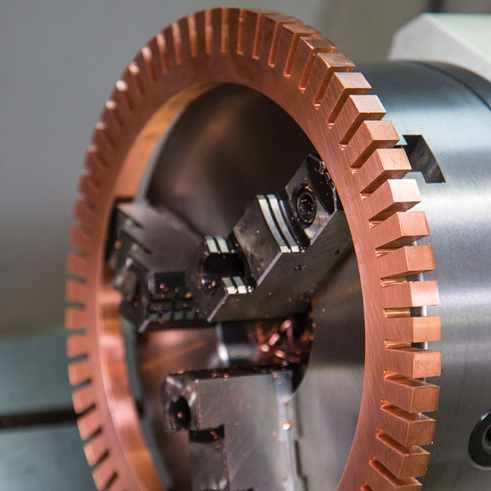 Dedicated equipment with the ability to process within a thickness range of 1.0mm - 100 mm. Single or multiple cuts catered for. The collection and delivery service available. JIT and Kanban deliveries available.